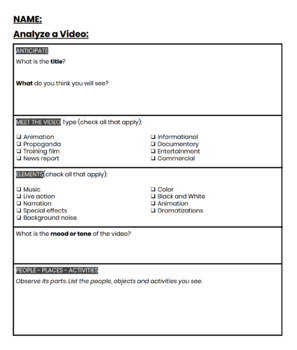 This is a printable .pdf file of a worksheet I designed to use with students when watching a video in class. It prompts students to watch the video with a critical eye, and to identify elements and interpret the why and what it might mean. 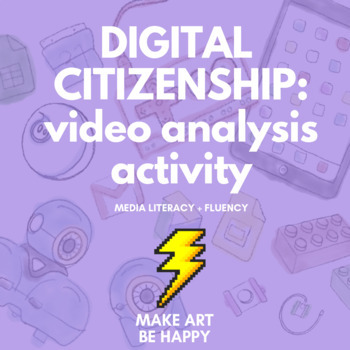 I want students to dig deeper into the artifacts we use in class and determine what is reliable and useful when researching or watching content online. This worksheet can be used as a stand-alone activity, or as a starting point for a larger group activity or discussion about whatever video you may choose!